Two of our grandsons recently stayed with us for a few days and we had a lot of fun! 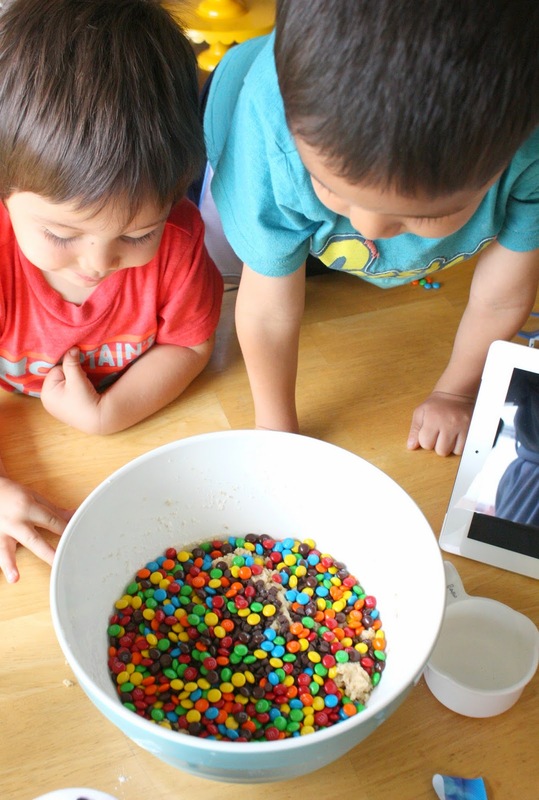 One activity that they really wanted to do was make cookies:) They kept eyeballing the bag of mini m&m's in my big "goodie" drawer, so I knew they'd love these cookies. Look at all those mini m&m's and mini chocolate chips! 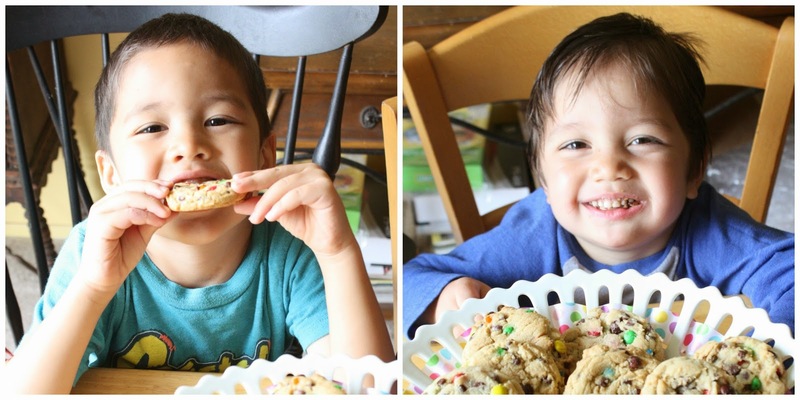 They're a drop cookie and came together quickly, which was a good thing since the boys were anxious to try them. I must admit, I was too! 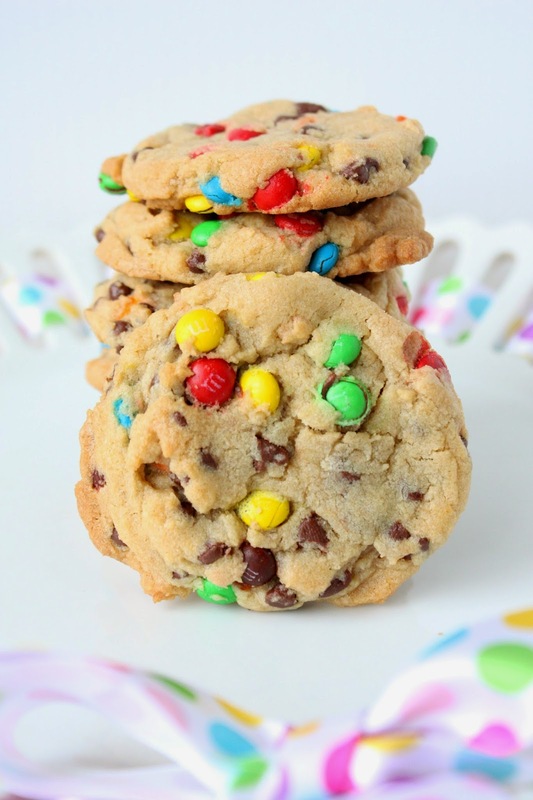 I found the best looking m&m cookies on Picky Palate, so used her recipe. With the dough as an indicator, the boys and I knew the cookies would be delicious! Two things I will do differently next time: Trust the baking time (do not overbake! ), and do not flatten the cookies at all before baking. Visit Picky Palate for this yummy recipe and so many others! These look great Sue with lots of chocolate chips just the way I like them. Yum! These are amazing and look yummy :) Great idea. Sue your munchkins are so adorable! enjoy every moment with them!! 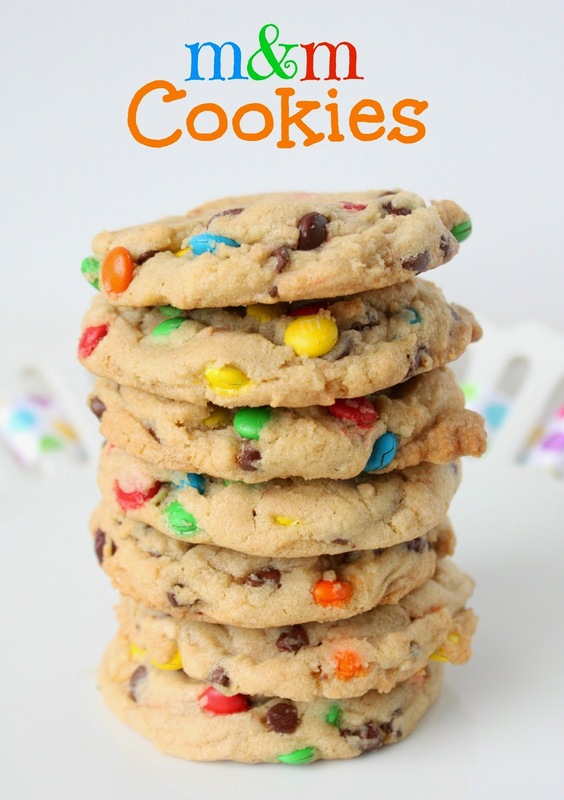 Dear Sue, thanks for sharing with us your wonderful and easy-making recipe for funny cookies. 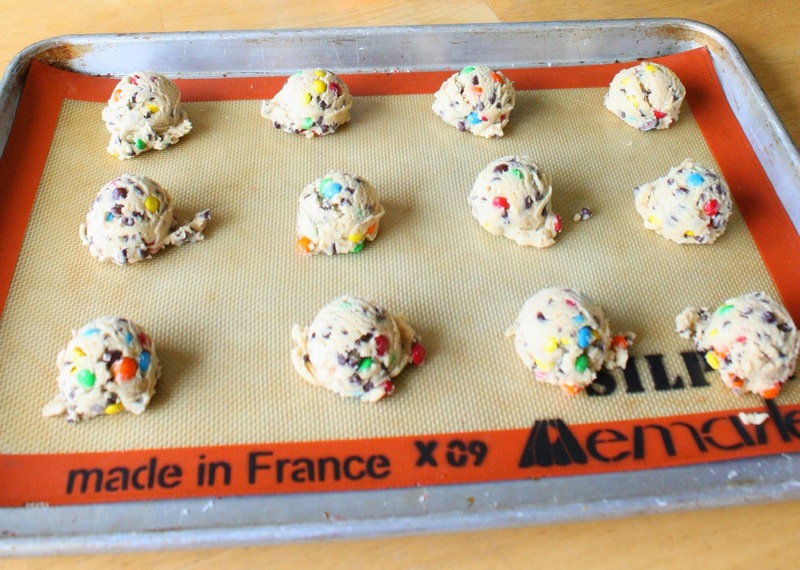 I adore M&M bonbons and definitely will try to make yours M&M cookies.Keep cooking! I'm sure your granddaughters would love these, Paula:) Thanks for stopping by!